First, what’s a content management system (CMS)? A CMS is an elaborate platform/system that allows website owners and administrators to regularly add, modify or update content. There are also multiple content types that can be added such as posts/articles, videos, images, etc. When it comes to a CMS, some are more technical than others, depending on which you choose. If you’re a first-time potential site owner then Joomla, Drupal, and WordPress are no doubt the first names on your list to research before starting a new website. Here, I cut to the chase and hone in on some real differentiators between the web’s top three most widely used platforms for getting content online. WordPress – Best choice for beginners because of it’s ease-of-use, it works especially well for small to medium sized websites, blogs and smaller e-commerce stores. Technically, WordPress is a blog, Joomla is a content management system (CMS), and Drupal is a content management framework (CMF). WordPress is the world’s most popular content management system. Despite it’s humble blogging beginnings, WordPress has taken the world by storm, powering over over 60 million websites today. Over 40% of CMS-based websites use WordPress – leading the market of DIY CMS websites by a huge margin. Easy to Install – Many web hosting companies offer instant, automated WordPress installs. That means you can get a brand new website up-and-running in less than ten minutes! That is if you already have all your content ready to implement. Customizable – WordPress has significantly more plug-ins, themes and other customizations available than any other platform. Because of it’s widespread popularity, more third-party designers and developers will create free (or relatively inexpensive) new WordPress tools to help you create/start a blog that looks like a high-dollar custom website. Free – WordPress is absolutely free to use, no-strings-attached. This is perfect for most beginners putting together their first site because it keeps costs down. Community Support – If you do experience issues or have questions about your new WordPress site, you can easily tap into the millions of people already using and supporting it. Their support forum includes helpful contributors that can answer any question you might have, within minutes, for free. Chief among them: WordPress is easy-to-use because it locks down the ability for most users to make significant visual edits. So you can’t make a load of structural website changes without the help of a designer and/or developer. More robust and complex, Drupal is the third most popular content management platform available today, used by sites both large and small. It’s among the most powerful open sourced options available, which means it’s learning curve is also steeper. Good for technical people who like to get their hands dirty. Improved Performance – Drupal pages typically load more quickly, and have faster response times than those made with WordPress or Joomla. Part of the reason is because it’s less resource-intensive, requiring a less expensive server or hosting setup. Free – Drupal software can be downloaded for free, and installed on your own hosting server. However, there is no option to have it hosted for free like WordPress offers. That means purchasing your own domain and hosting is required before getting started with a new Drupal site. Drupal is the most powerful content management system out of the box. But with that power comes some additional difficulties for the website owner. If your website begins to evolving beyond a simple business site, then you’ll need to have (or hire) technical expertise. Because need to make sure it continues to run smoothly. Finding someone with advanced knowledge of Drupal’s steep learning curve, may prove difficult. Joomla is the second most popular platform. 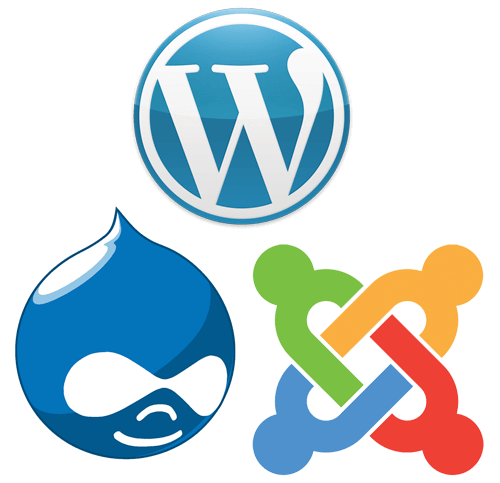 Of the three it is actually the only CMS, because technically WordPress is geared up more for blogging, and Drupal is a content management framework. It’s powerful enough to run most websites, and it doesn’t require the same level of technical experience as Drupal does either. As the second most used CMS, Joomla also has over 6000 plugins and themes available to choose from. So customizing the look and feel of your site shouldn’t be problem. Social Networking – Social networks can be a powerful asset for many sites, and with Joomla, you can have one up and running extremely quickly and easily.  Free – Joomla is another free option to use on your own web servers. And, there is an option to have it hosted for free like WordPress offers. This is the easiest way to start your first Joomla! website immediately. You can launch a totally free website in seconds and start publishing your content online immediately. Joomla users love that their websites can do or be almost anything, without sacrificing ease-of-use. Joomla has brilliantly combined the power and flexibility Drupal has to offer, while also retaining the intuitive, user-friendliness of WordPress. Ultimately making it a perfect middle ground in this crowded marketplace.